We all have stuff that we are going through. We all have something that’s worth fighting for. We all have something hidden deep inside. 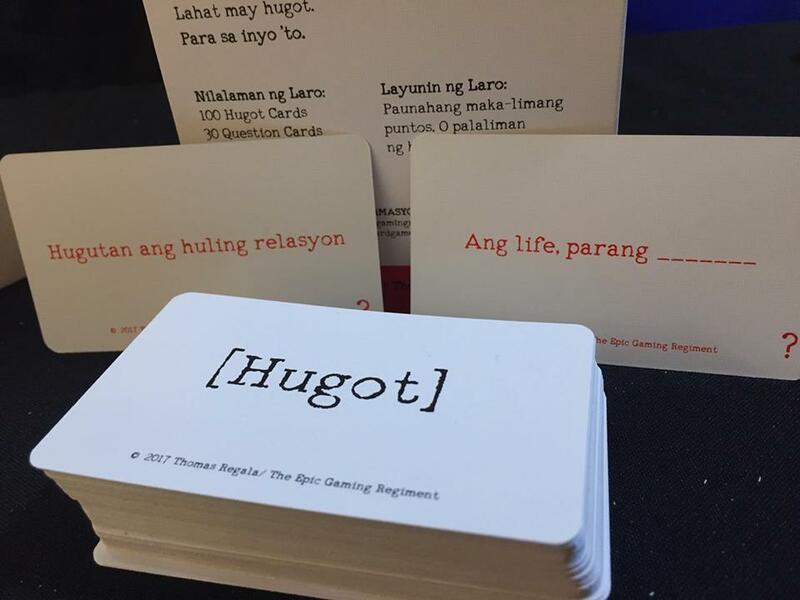 Here in the Philippines, one trend that took off like a storm in the past 2 years was the term “Hugot” (draw upon in English). The Filipinos are experts in drawing their inner most frustrations / emotions / regrets from common everyday stuff, much to the enjoyment of the people hearing about it. Funny, right? Well aside from the dark comedy behind it, it’s actually quite witty don’t you think? Well it didn’t take long. 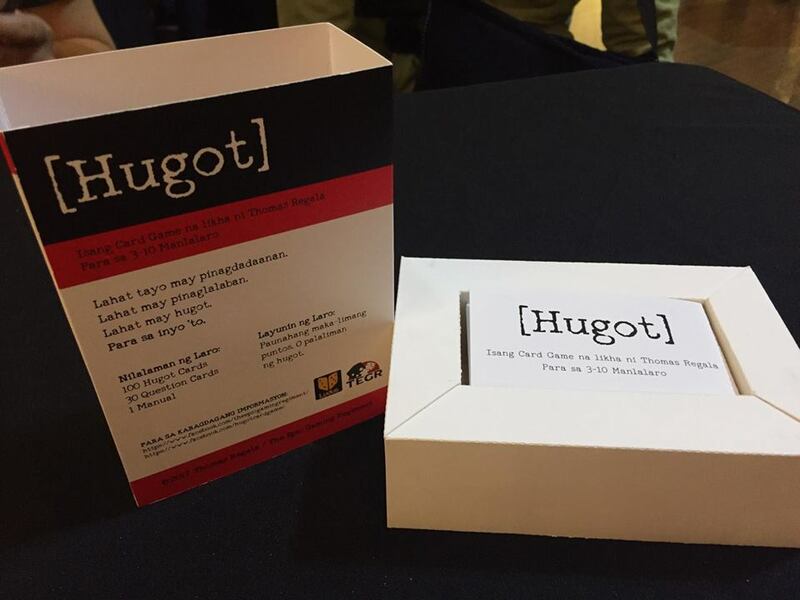 Someone actually “drew out” the idea and turned it into a boardgame called HUGOT! 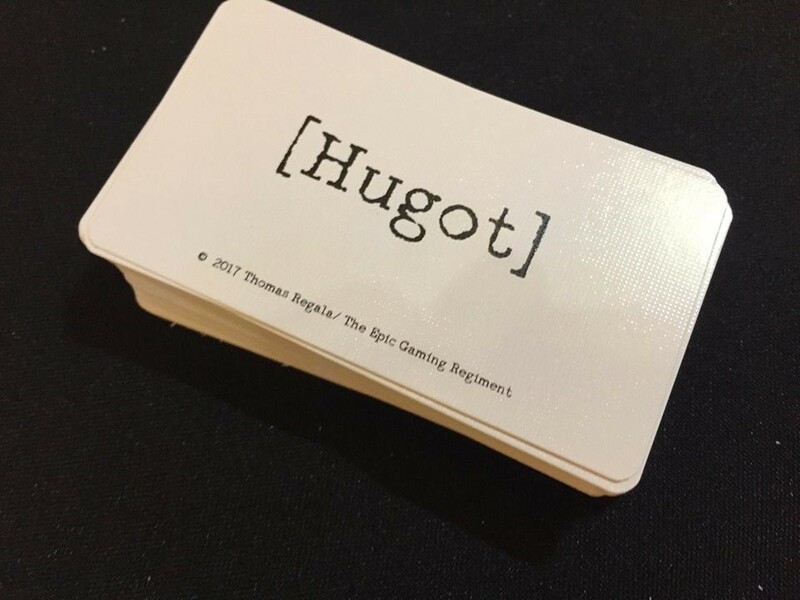 Each players always has 5 cards in their hand, these are called “Hugot” cards which are simply made up of common everyday words. 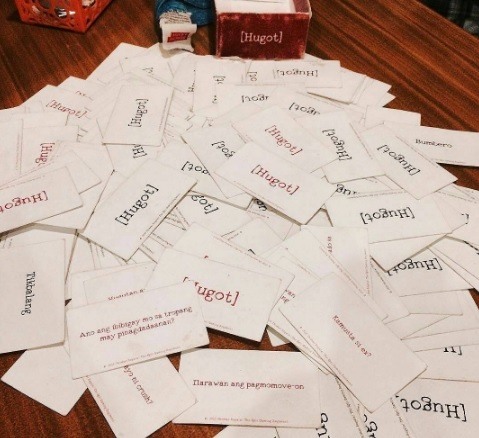 Each round there is a rotating “judge” (similar to CAH) who turns over a red “Question Card” from a specific deck. The card flipped during that round will serve as the focus for the other players to verbalize (essentially venting out stuff) feelings based on the chosen card on their hand. 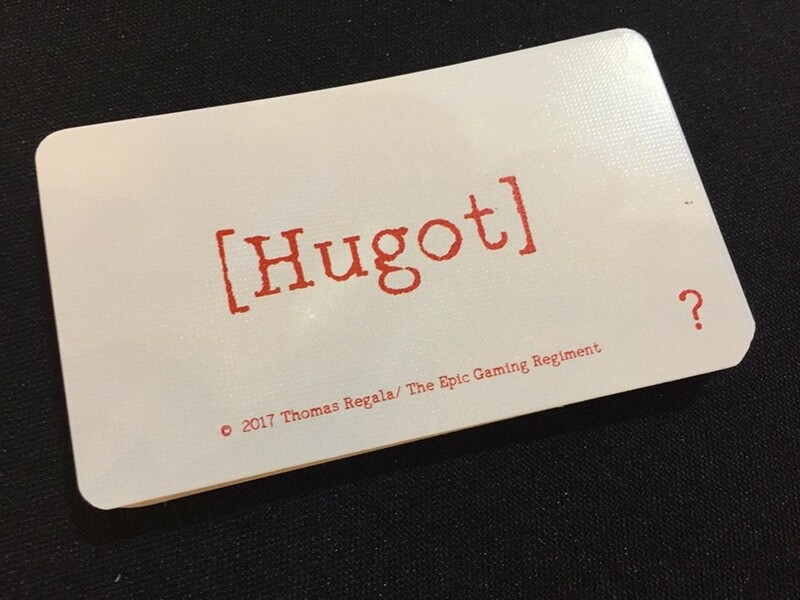 And from there the judge at that round chooses on who to give that red question card, which serves as a point for the player. The first to get five points wins! 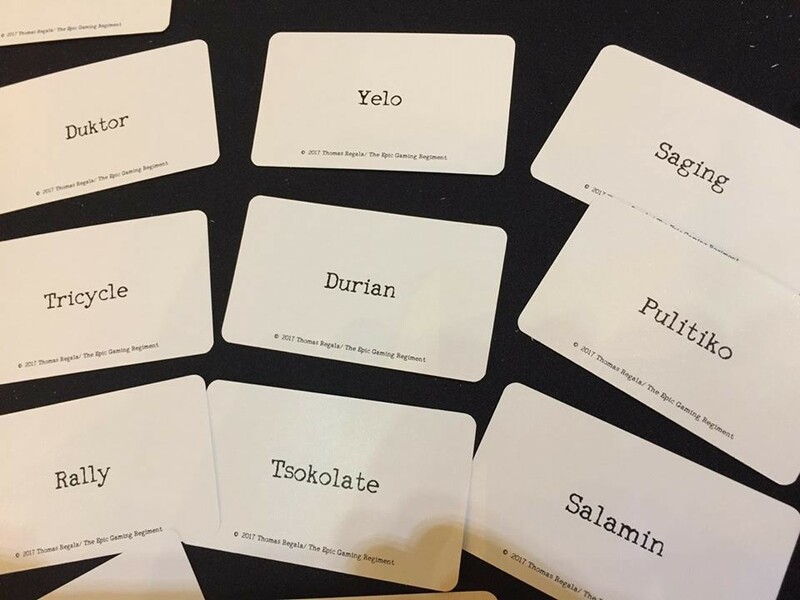 Though the mechanics are similar to CAH, the added meat here is that you really have to be creative in “pulling out” your hidden chops with the hand that you have. The actual fun in this game comes from hearing out other people’s witty statements and NOT by winning the game. You might be surprised and find out something new about your friends or other players. 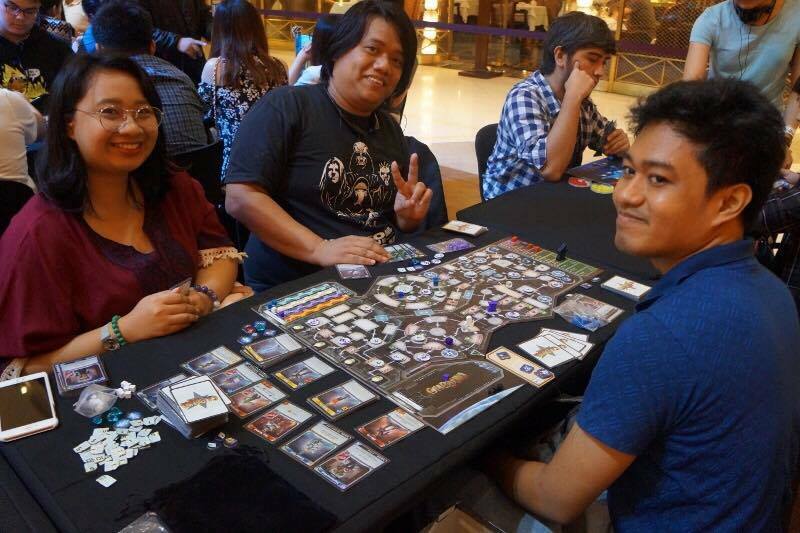 I actually got to try out the game in its early stages at a local Komikon last year. 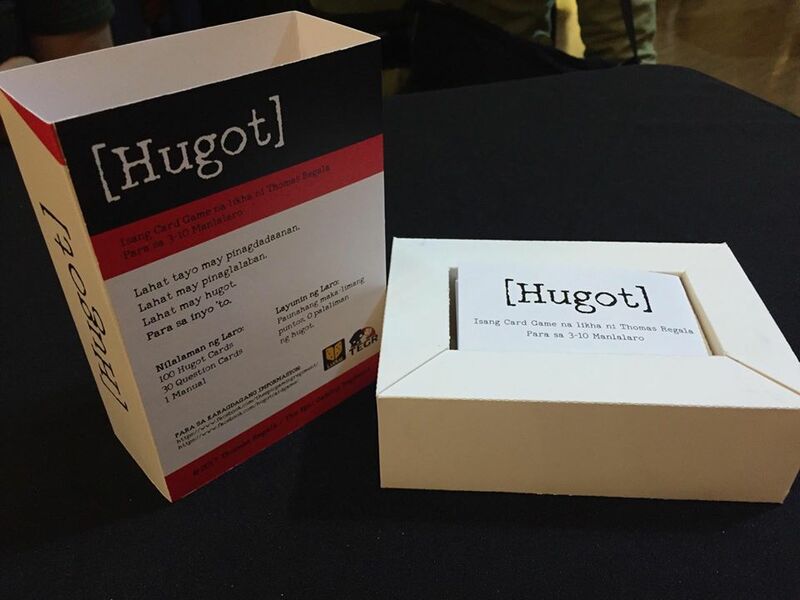 The first version initially had a total of 300 cards (200 Hugot cards, 0 Question Cards and 0 blank cards if you want to be creative) which from my observation had a cheaper looking cardstock and a higher price point of P999 pesos (roughly $20). Playing the latest version at this Gaming Library’s All aBoard event, the latest version saw a reduced (but feels much leaner) set of 130 cards. They did away with the “weaker cards” of the earlier set and chose the best of the best after multiple rounds of playtesting. Additionally, the card quality significantly increased as it is somewhat similar to those linen cardstock found in Lords of Waterdeep. 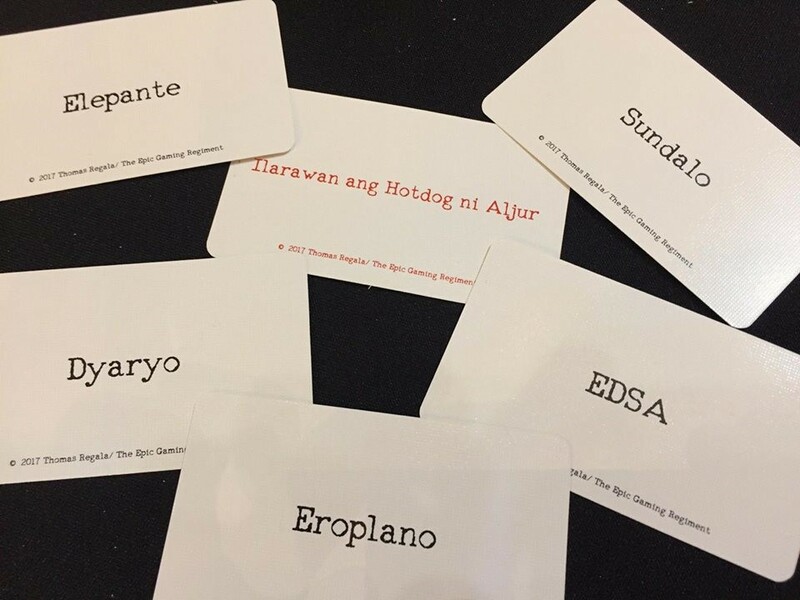 Also, this time around the game has a much more friendlier entry point of P450 pesos (around $10), almost half the price of the first version. And he didn’t stop. So now were here. Easy to teach and pick-up. There’s some fun to be had with the right kind of people. Some players might find it hard to get creative during their turns. 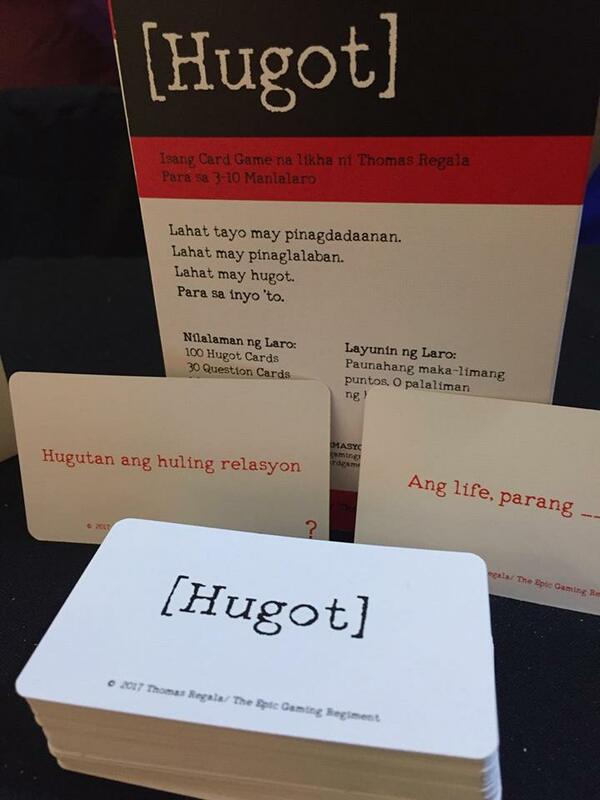 For now, the game is published in Tagalog and a language barrier might be a problem for other players. But hey we can always translate, right? You can check out the game from the publisher’s page here. Next articleSUPER SALE! 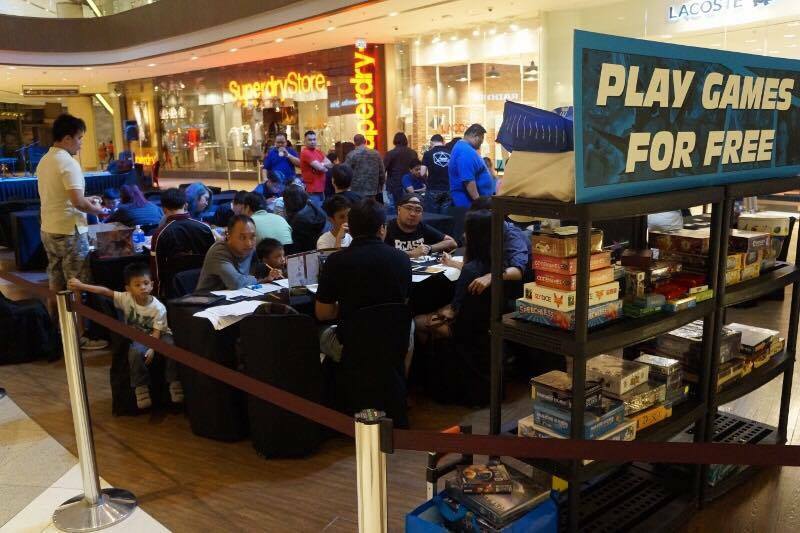 32% Off on PS VR and 24% Off on PS4/VR Bundle at the Play Everything Roadshow!